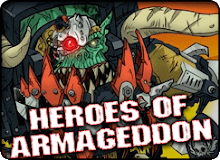 I don't know who is attending games day, but If anyone wants to meet in peson, I'll be alternating between the hoa, golden demon lounge, and the heores of Armageddon table. 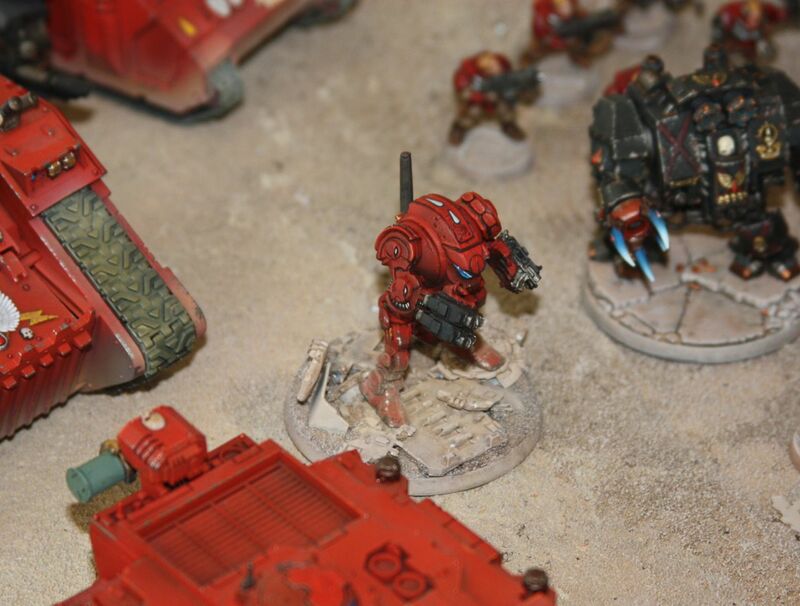 Don't forget to vote for armies on parade. My blood angels will be there representing the Springfield va store. Like nearly everyone else on the planet I have been aware of ebay. Yet for 40k until recently I have not utilized it. It just seemed like too much trouble. A week ago I started purchasing on ebay. At first it was for OOP wolf scouts, wulfen, and other hard to find miniatures. Then it changed. Why should I have to decide between a space wolves army or an ultra marines army. Why not do both? I don't like mentioning money in general, but for the purpose of this entry I need to, especially since cost is a major reason people do not start new armies. If I were to buy these in a store, I would get all the nice bits that come with the kits, some models would not need to be stripped, and I would get to build them to my standard. However, I would also have to pay around $460. Additionally I would be stuck with plastic scouts, which I don't like very much. 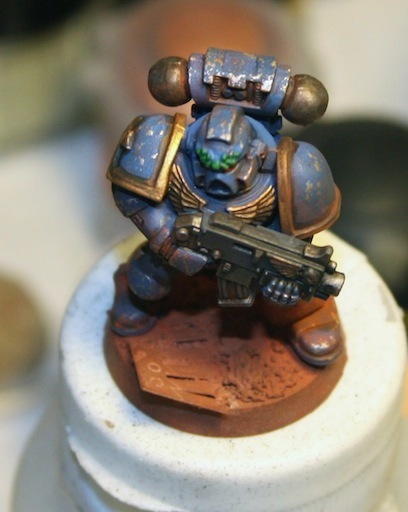 While waiting for the Heroes of Armageddon drawing to start I painted a quick heavily weathered ultramarine. 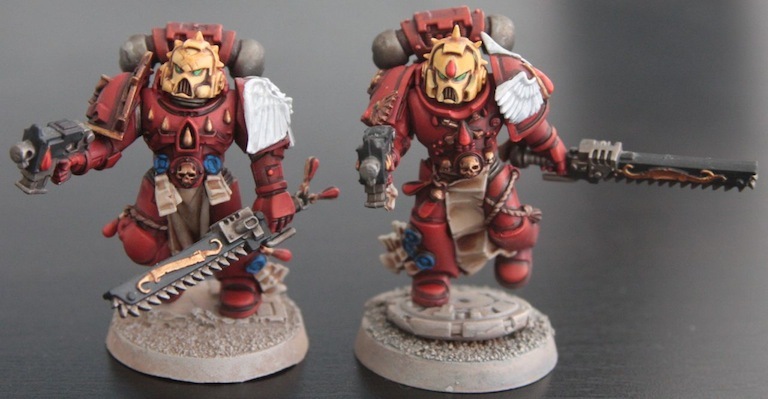 I still haven't decided whether to go ultras or wolves, but seeing as how I just won an ebay auction for 25 marine bikes, and I just built 5 scout bikes, I might have to go ultras just to use the new loot! I use test miniatures to try out techniques prior to batch painting. 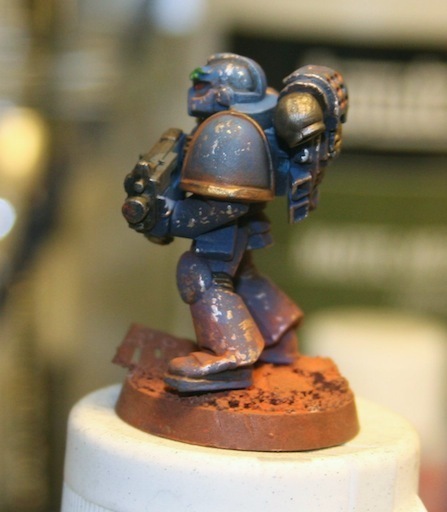 This guy start off as a cleanly shaded marine. 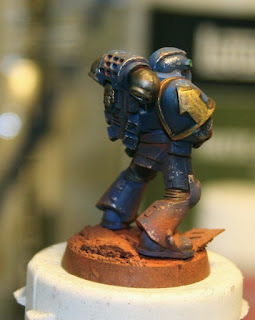 A lot of little dabs with a sponge full of paint, followed by weathering powders and I had this result. I play to try out the ash wastes weathering powder on another ultra, since I am not sure the red rust of mars looks right. I am still trying to come up with good colors for power swords, axes, and lightening claws. Since ultras are blue I do not want to use the same colors as on my BA. Purple or red are my current favorites. As anyone who has painted miniatures this old knows, the details are a little mushy, and the quality is poor. However as a nostalgia piece it was kind of fun. One thing I had forgotten though, the really old stuff is lead. I did not want to use the original small square base, so I had to figure out what to do with all of the empty space on a normal dread base. I decided to really pile on the debris, which hopefully distracts from the lack of detail on the model. Now the question that begs to be answered, does this guy merit a place on my Armies on Parade board for Games day next week? He looks a little weird visually, but it is an interesting model. If you have any other suggestions for my next army, Ultras or Wolves, let me know. I already have two votes for wolves. I don't know what army to paint next! Since I plan on shifting away from BA for a while, then I need to decide what army to commit to next. The next army I decide to paint I am going to go full bore on, using everything I learned painting the BA. I have two primary choices at the moment, Space Wolves and Ultramarines. I have already purchased, rummaged, traded for everything needed for both armies. 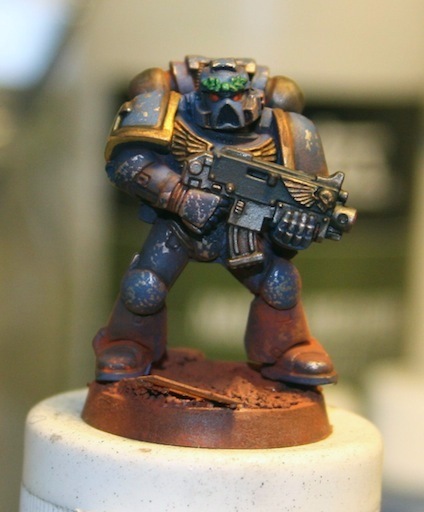 The first choice, the Ultramarines, allows me to paint all the stuff from the generic codex that I've never had a reason to paint. Scout bikers, LS storm, etc. Additionally I have all of the ultramarine special characters. The nid hunters look particularly fun to paint. 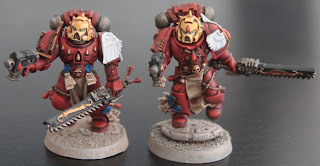 For the army I plan to use all Pre-Heresy marines, which will lend a distinctive look to the force. 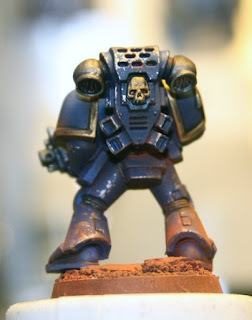 The paint scheme plan is for a very clean application of ultra blue shaded down to very dark blue near the feet. Once the extreme shading is done, battle damage and brown dirt will be added. The idea is ultramarines after heavy engagements. Since a lot of PH fw units are used it could double as a pre-heresy army. My second choice, the Space Wolves, have been seeing some ebay love since I just read The Fang(a must read by the way). I've been rounding up things like squads of wulfen, the limited release characters, and every metal SW scout I can get my hands on. I've already got a load of miniatures from the SW release, so no FW would be used here since the plastics are so nice. The SW let me do something entirely different, loads of free-hand. 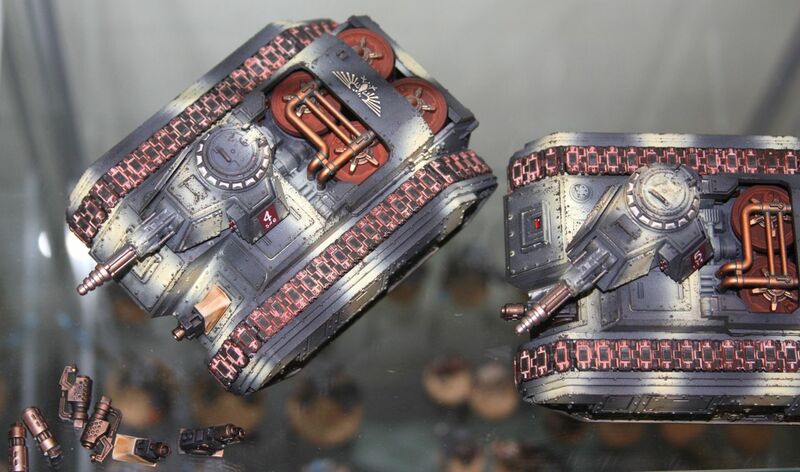 If I paint them dark, gritty and broken in the darker PH style I think they could look quite good. I've always liked muted pallets, which is what my SW scheme would be. The only consistent theme between these two choices is that I really want cool colors paired with battle damage, and warm mud/grime/dirt. 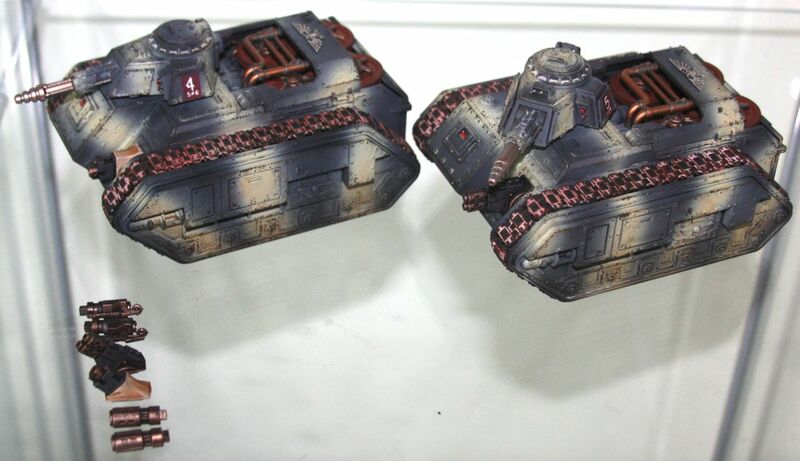 I want these to look like they have seen heavy fighting. This is a good dilemma to have, but it does have me stalled in my painting since I love bulk painting. 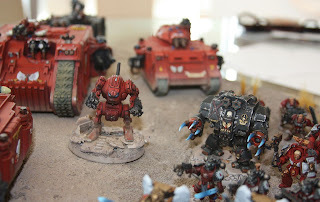 When I started my Armies on Parade BA army I had a host of miniatures that did not quite fit the new style, but were also newer than my original dry brushed BA army. Since my Flesh Tearer miniatures took so well to a painting update I decided to give a little polish to my BA scouts and a 5 man sm assault unit. The updates included re-washing them for darker recesses, re-highlighting them, and then rebasing them so they were on the cooler colored bases rather than my warmer desert bases. All in all I think it was a pretty good experiment. I love the way the scouts came out, especially given that I have no desire to paint this particular kit again due to the weird arm proportions and heads. 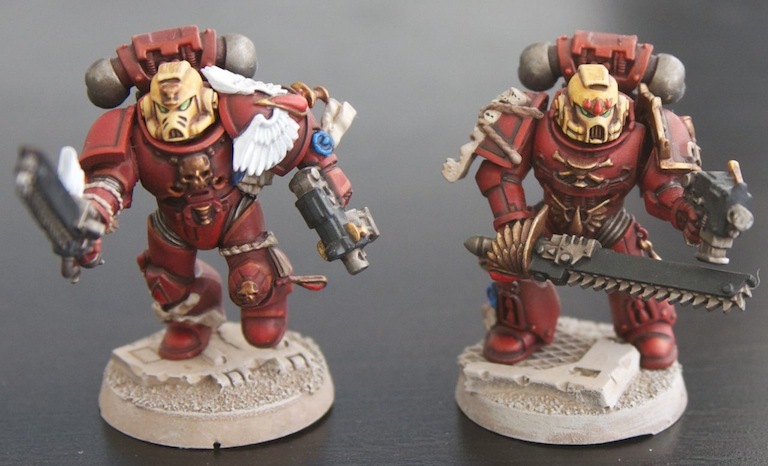 The Assault marines won't win awards, but I think they look pretty good. I can happily field these along with my new BA army. If I hadn't updated these, then I would not have the units to make a rational army list out of my AoP army. 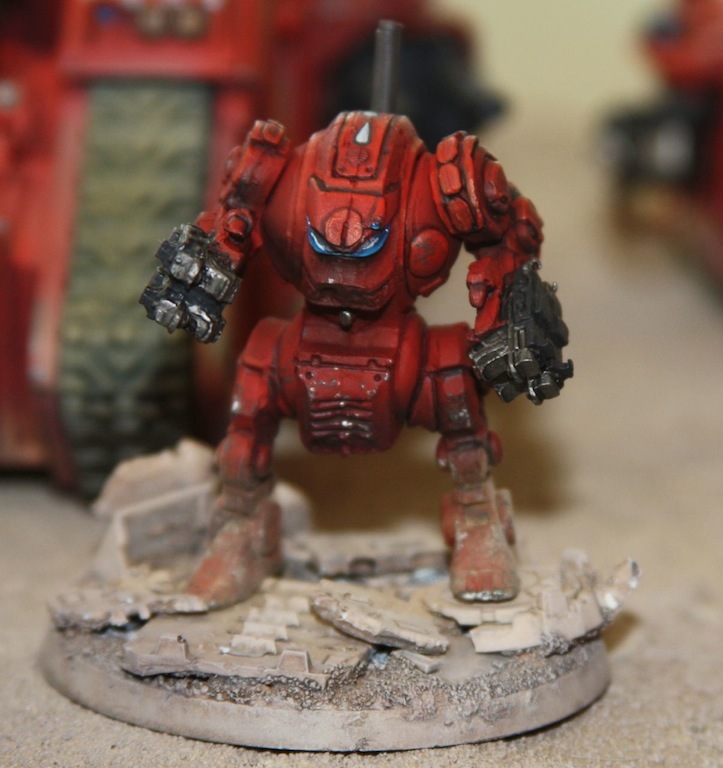 Since I had just painted units I liked rather than units necessary for a successful build, my force was highly skewed points wise. Remember all the trouble I had with those Vanguard jump packs? If not then the short story is that one of my first Finecast(tm) purchases was the vanguard veterans squad, which had a lot of issues with the casting. The jump packs were terribly cast. At the urging of the store manager, and each of the store employees, I finally got around to taking the bad jump packs in so they could see them. The store happily replaced them. 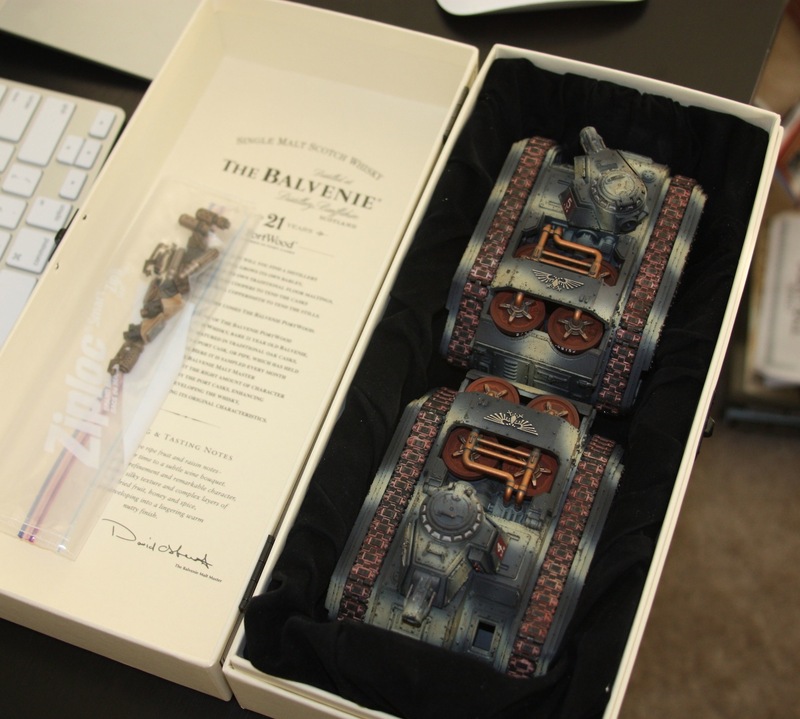 The horrible thing was that Bill had to open around 4 boxes of miniatures before we could get a set that was usable. He gladly did it, but I felt pretty bad for the store, and GW in particular. It was clear from what Bill and I saw, that one style of jump pack was simply the Destroyer of Molds(tm). We found bits of silicone embedded in multiple copies of the ornate jump pack. If you think about this, that means that GW must be racing around the clock replacing these molds as the jump packs destroy them. The short version... Kudos to all the staff of the GW Springfield store. If I end up moving overseas I will genuinely miss the place. May I present the Devil Dog carrying case. 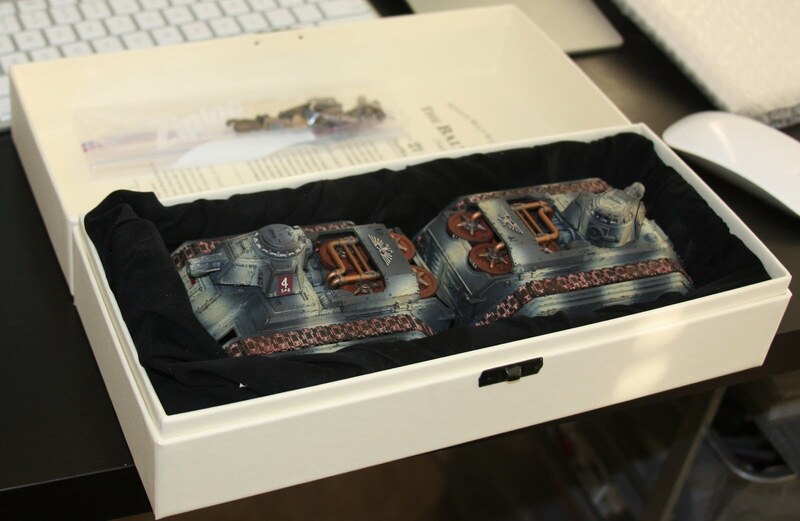 Now I know the Heroes of Armageddon Steel Legion winner is going to get a nice custom army bag, but until then, these dogs have found the perfect kennel. Balvanie Scotch port wood aged boxes are the perfect size to snuggly fit two hellhounds! After all those BA, a throwback mini! I've painted so many BA,GK, tanks for Heros of Armageddon despite loads of travel that I wanted to relax and paint something different. What better to paint than a 1990's Imperial Psyker. I was given this mini at one of the barter days at the local GW, and am really thrilled to have it. I've wanted to paint one of them for a long time, and am really looking forward to making this guy part of my Inquisitors retinue. I mean, so long as I have two monkeys,several deamonhosts, and a couple of servitors why not have a vaguely genestealer-magas-cult-like mini? 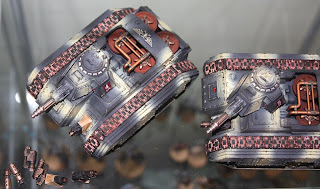 If you haven't seen Dave Taylor's blog then you need to head over there to see the majority of the Steel Legion Armor. These two Devil dogs are the missing pieces. 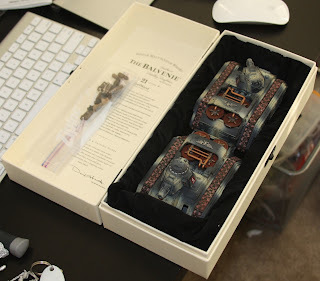 Now that they are done, they are ready to be boxed up and shipped to him for inclusion in the final army. 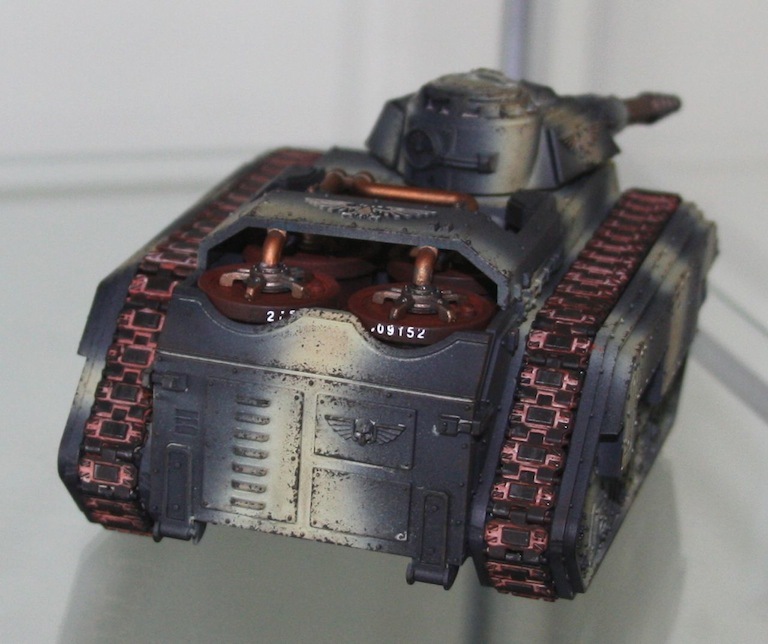 You may have noticed that these guys are not as beat up as the rest of the steel legion forces. My logic on that was that Devil dogs were not like chimeras, which get the blood washed out and reused. Devil Dogs explode. Post explosion there is likely very little left to refit. 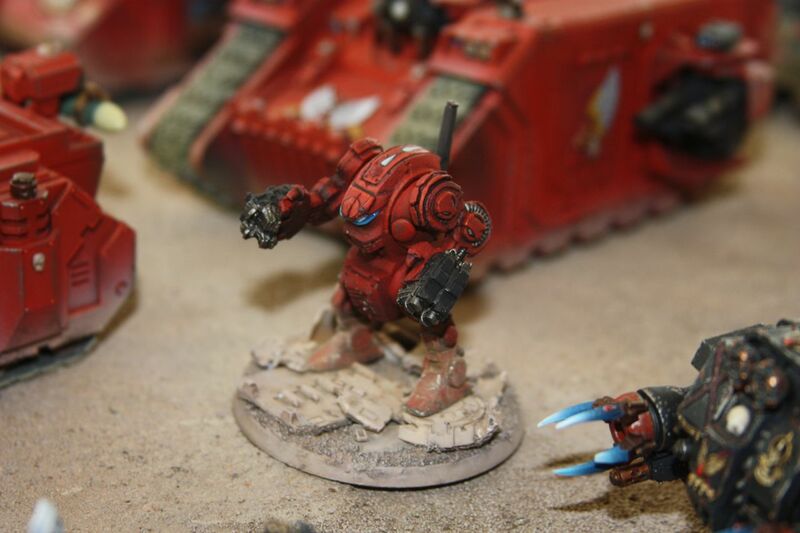 These dogs have swappable gun barrels, as well as swappable hull mounted weapons. One of the hull mounted flamers came damaged, and the other was lost during painting, so no hull flamers included unfortunately. 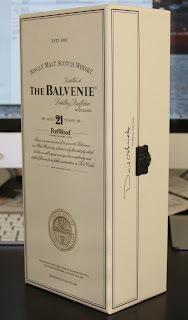 I found the perfect box to ship these in to Dave. Wooden Balvanie single malt Scotch boxes are the perfect shape and size for two dogs back to back. These dogs are going to travel in style!